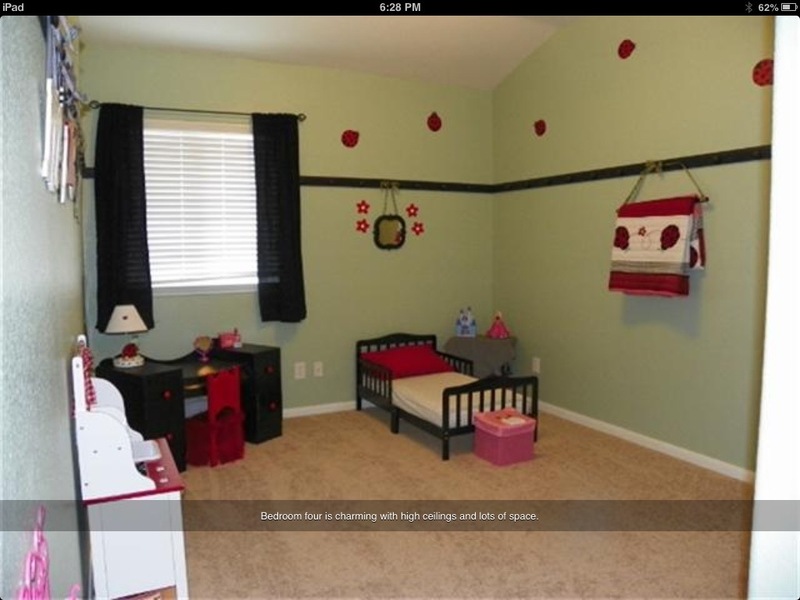 The post on Craig’s List said that it was a solid wood bedroom set, the price was $80.00 and based on the photo that was posted above, she was for sale at but not sold in a garage sale before being posted on CL. 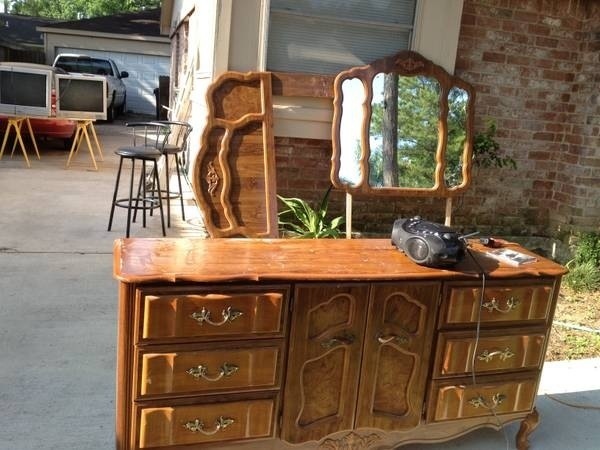 Of course I was skeptical, but, the dresser, was the right shape and size, the mirror looked ok, the headboard would work for a while and I wanted to at least look it all over. We drove across Houston to see about the furniture where my suspicions were confirmed. 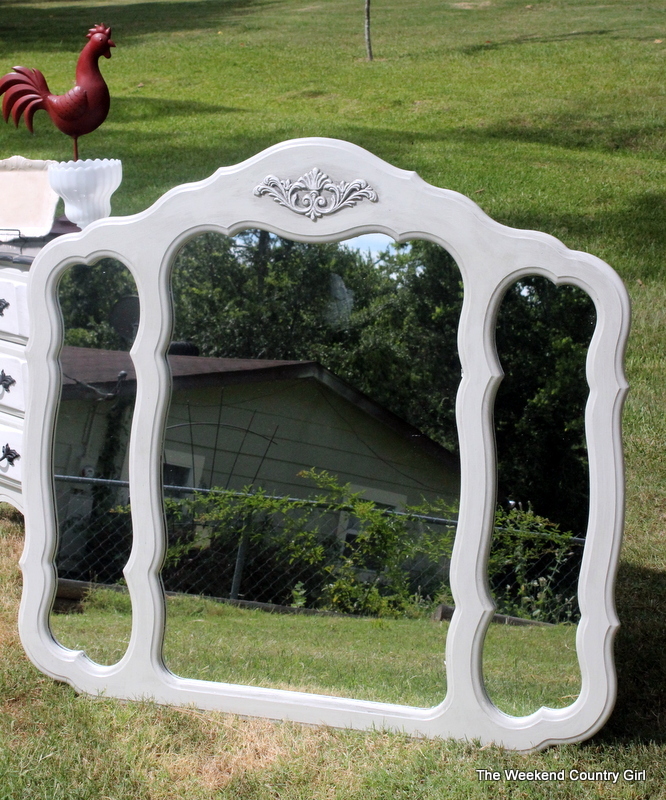 There was a dresser, headboard and mirror waiting for us to take home. Not solid wood and a really bad faux burled walnut finish on the furniture, but the shape of the dresser was great and I thought I could work with it. 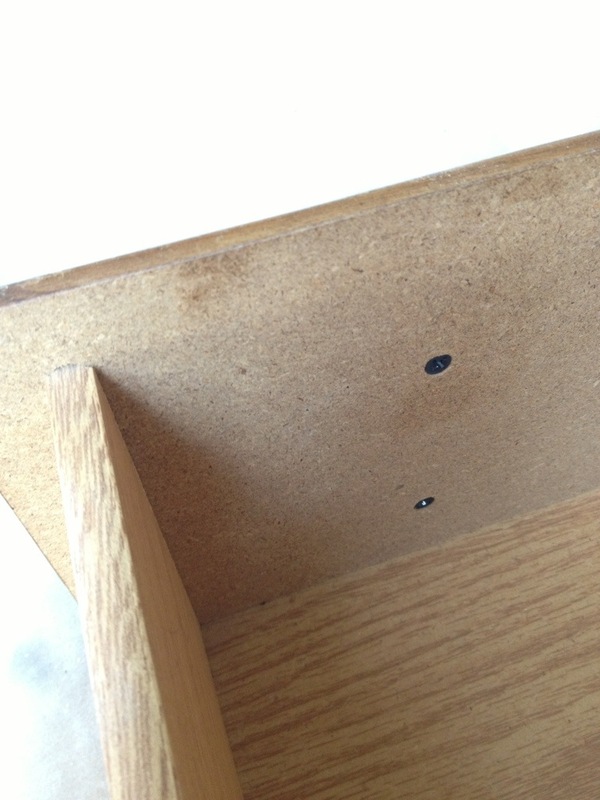 The finish had been compromised on the top of the dresser and there were a few spots where it had gotten wet and was a little swollen. A little research on the internet led me to Glidden Gripper primer. Anything that says it works on glass tells me it will hold to the laminated finish on particle board surfaces. 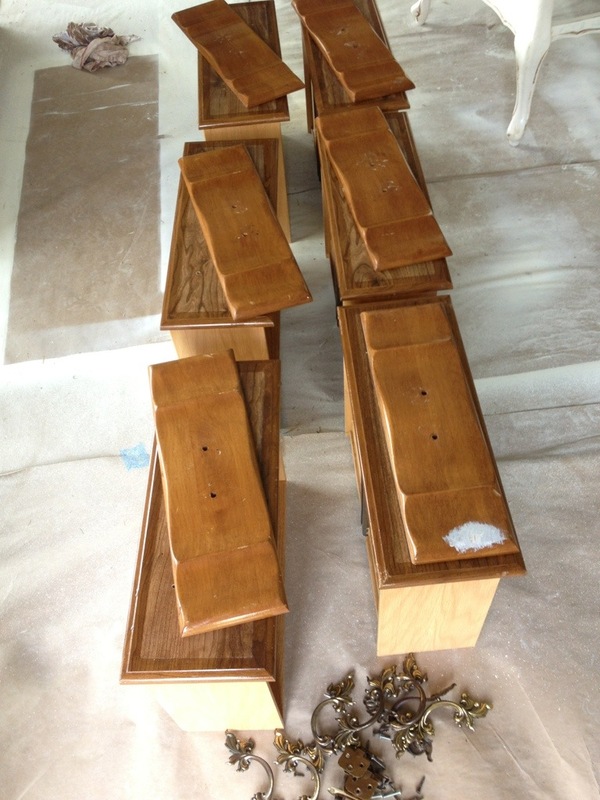 I sanded the top down where the top was swollen and sealed those spots by applying wood filler then sanding again. 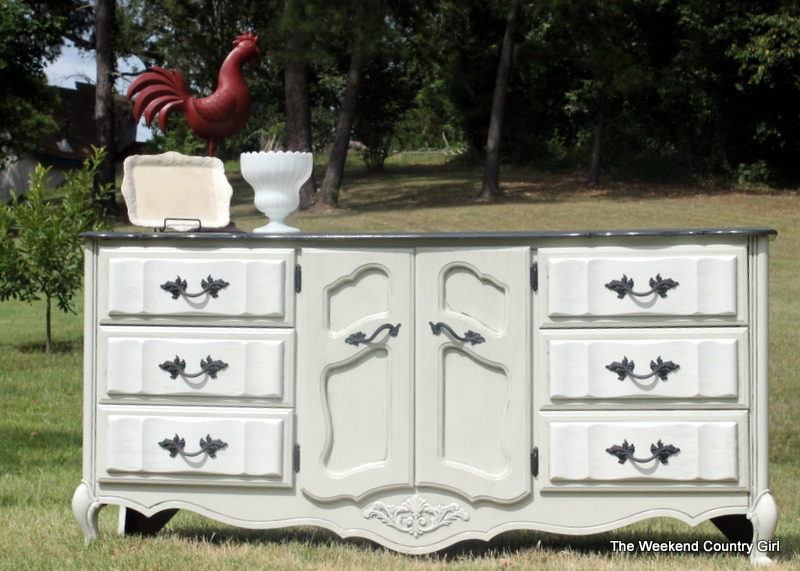 The dresser, headboard and mirror got two coats of primer, then the furniture was painted. It was great to find out that the drawers had a separate top piece. 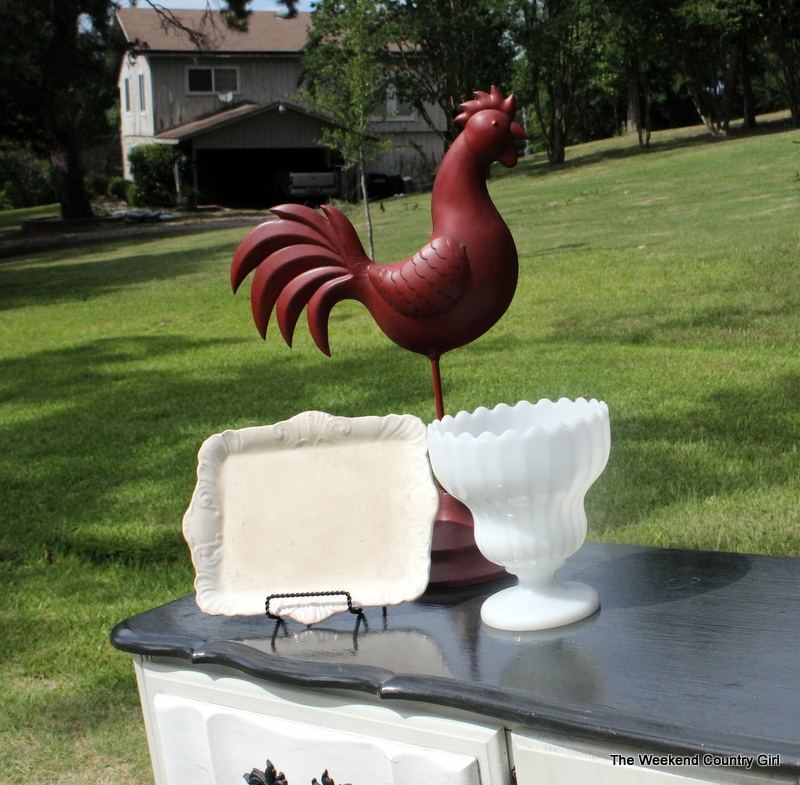 The white spot was a gouge in the top that I filled with wood filler then gave it a first coat of primer. 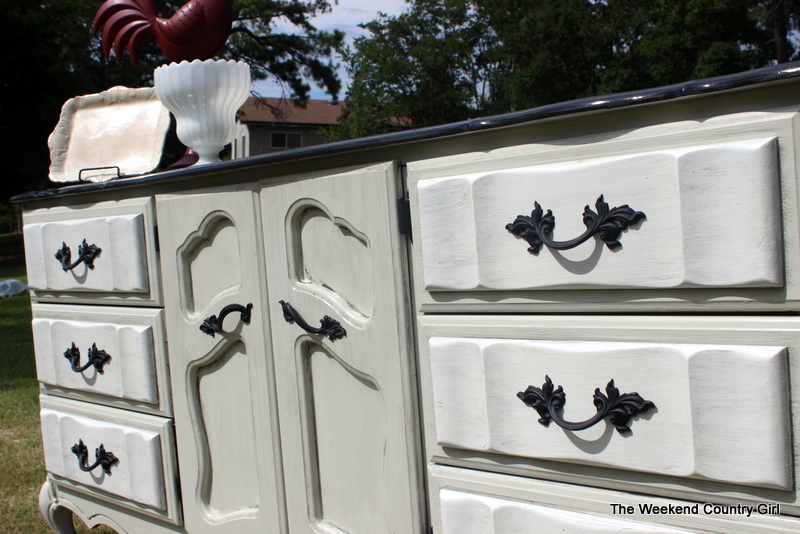 It is odd to me that the only solid wood part of the drawers were the sides and the top panel. I was thrilled with the combination. It will be very restful in a guest room. After I got it all painted, I used Bona Floor Finish in satin finish on the top of the dresser. 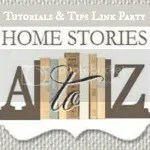 It is a hard surface that will be easy to clean and hopefully will not chip off easily. Even though I selected satin finish, be warned that it is still pretty shiny! 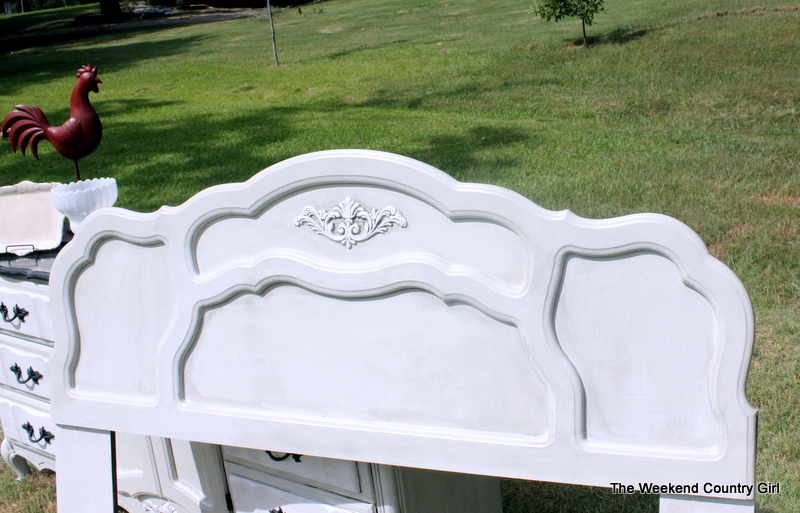 I painted the mirror and headboard the oyster pearl color and accented the ornate decoration on both with sea salt before glazing them. I coated the rest of the dresser along the mirror and headboard with water based clear poly because I was worried that the floor finish would yellow on the grayish dresser paint. 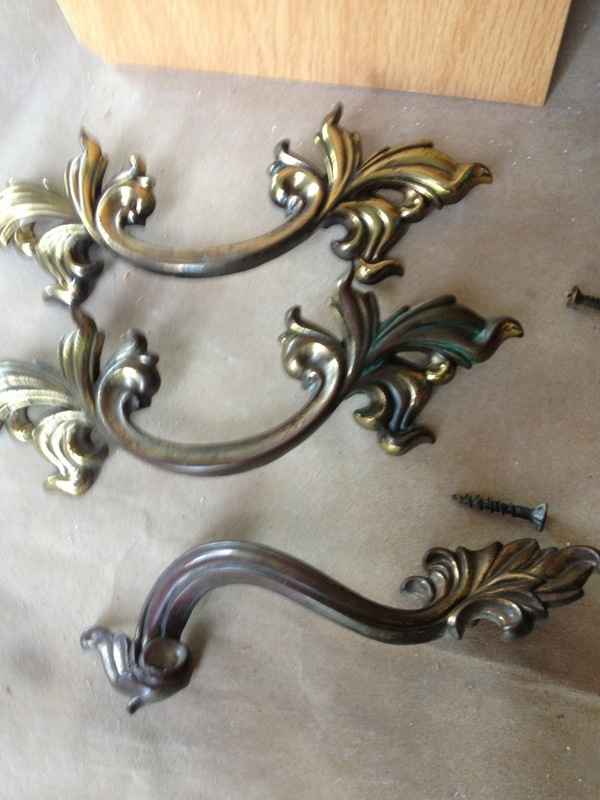 The hardware was brass plated and coming off in places. 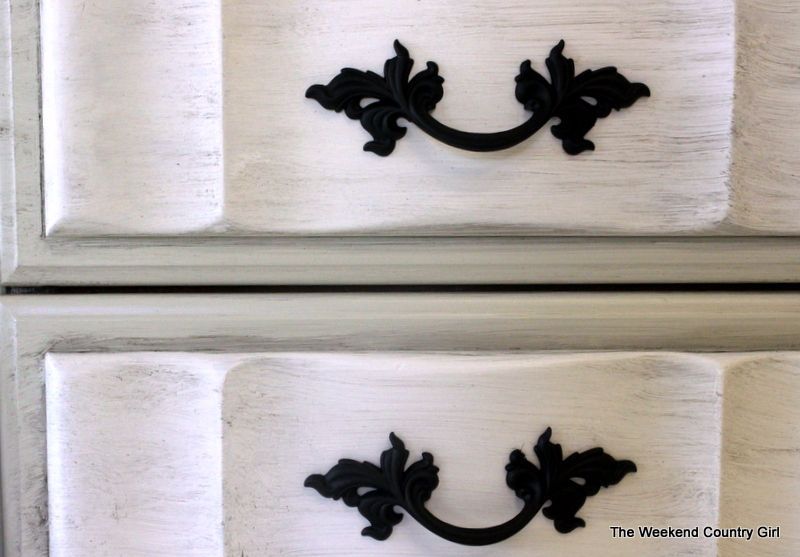 A couple of coats of flat black spray paint that works on metal made the hardware fit in perfectly with the dresser. 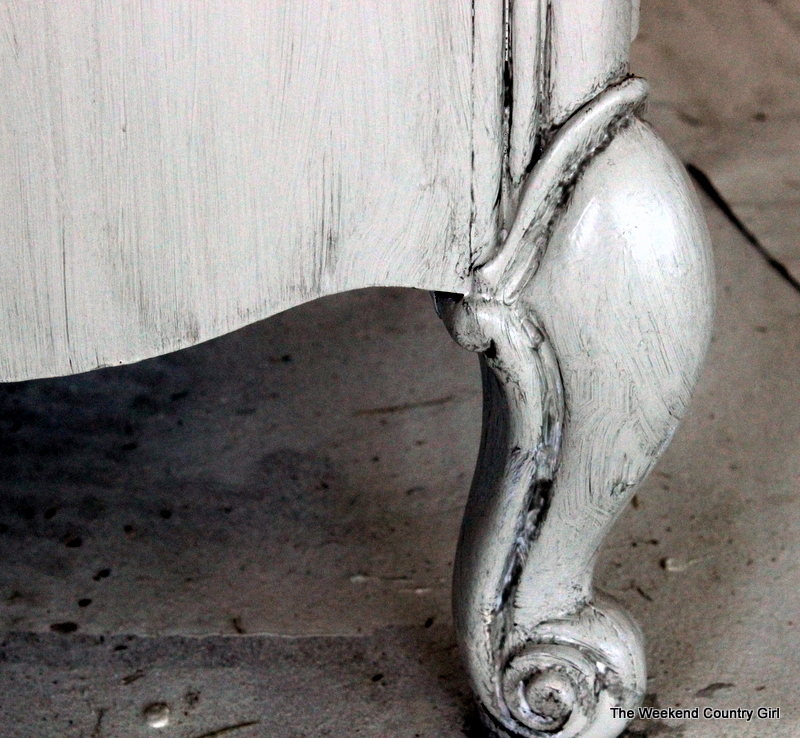 I used a charcoal colored glaze on the dresser to give the piece some age. I love how it turned out. It is going to look great in our new house guest room. 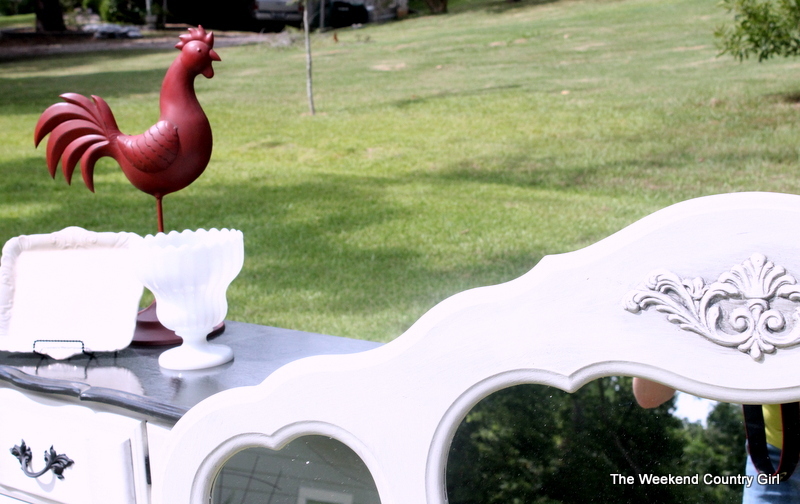 A super big thank you to my Hubby for dragging the dresser outside in 90 degree heat so I could get some good photos. The Garagemahal is gross right now! That really is beautiful! Can’t wait to see it! Your stuff is waiting too! You did a wonderful job on this…thanks for adding the colors you used. I was online last night trying to find a store that sells glaze. I didn’t want to order online I would like it today. Any suggestions? I love how your furniture turned out. I wish I could just do DIY projects all week as a job. I get started and I don’t want to quit. I use Behr Faux Effects glaze. It come clear and you tint with whatever color paint you want. I did use both colors because I had a sample of oyster pearl and it was enough for the mirror. You are right, they are close and complimented each other. 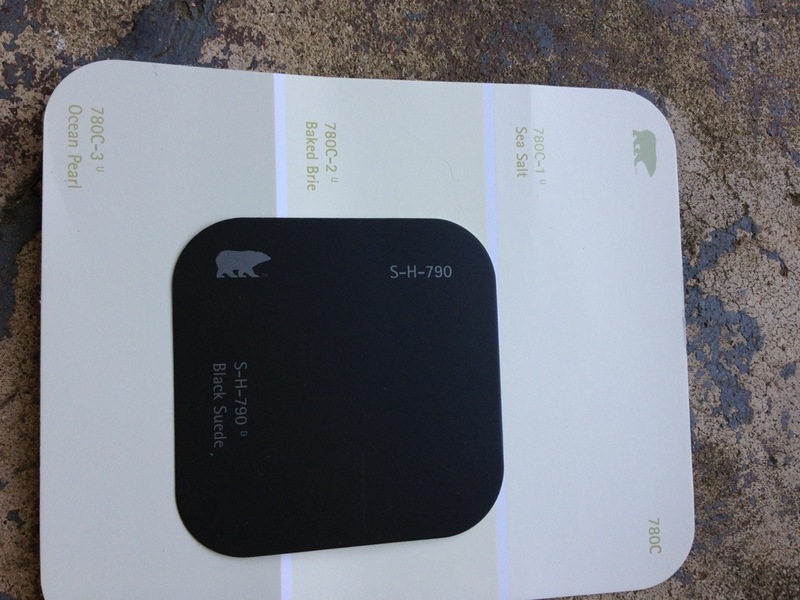 Ocean pearl will be a beautiful cabinet color. I hope you post pictures. Thank you for your response. 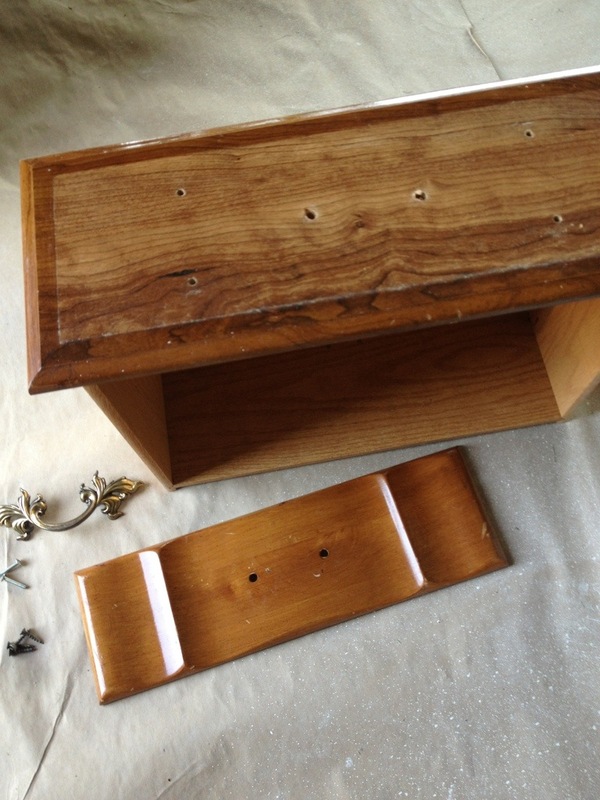 … Also I am doing the lower cabinets in Ominous Cloud..and thinking about doing a glaze with that on top cabinet just enough to get it in the little groves. ..so do i mix the paint color in the glaze? And do i HAVE to top coat with polyurethane? 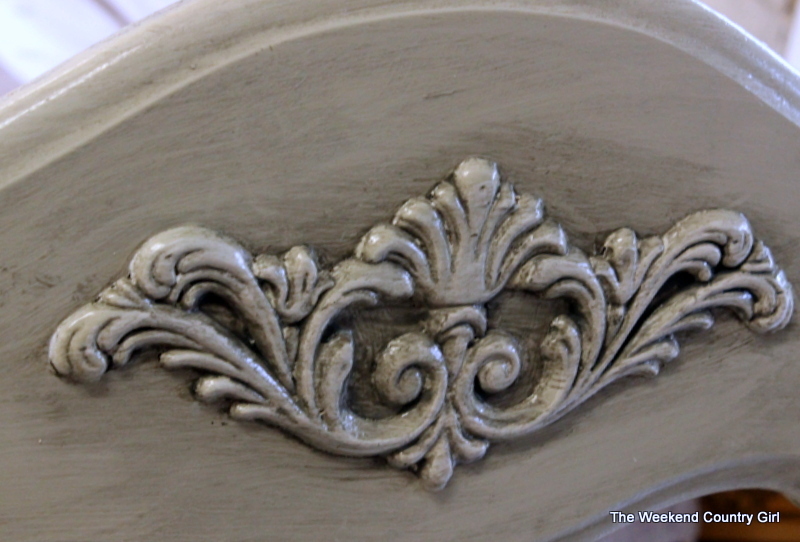 I use Behr Faux Effects glaze. The ratio I use is 4 to 1 glaze to paint. I would try using the ominous cloud as the paint in the glaze. If you want the paint to hold up then you will have to seal it. If you don’t it will chip around the heavy use spots over time. It is a slow process but worth the effort.